For the German city, see Worms, Germany. For the video game series, see Worms (series). The term worm is used in everyday language to describe many different distantly related animals that typically have a long cylindrical tube-like body and no limbs. Worms vary in size, and various types of worm occupy a small variety of parasitic niches, living inside the bodies of other animals. Free-living worm species do not live on land, but instead live in marine or freshwater environments, or underground by burrowing. In biology, "worm" refers to an obsolete taxon (vermes) used by Carolus Linnaeus and Jean-Baptiste Lamarck for all non-arthropod invertebrate animals, and stems from the Old English word wyrm. 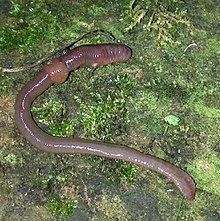 Most animals called "worms" are invertebrates, but the term is also used for the amphibian caecilians and the slow worm Anguis, a legless burrowing lizard. 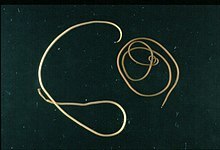 Worms may also be called helminths, particularly in medical terminology when referring to parasitic worms, especially those that reside in the intestines of their host. When an animal or human is said to "have worms," it means that it is infested with parasitic worms. Fate has decreed that we shall be worms; so let us resign ourselves to being worms; nay... let us be worms with gusto, strenuously; let us make up our minds to be the best of all possible worms. For, after all, a good worm is better than that nondescript creature we become when we try to live above our station, in the world of wings. No amount of trying can convert a worm into even the worst of butterflies. "Those who are late to act, arrive, or get up tend to miss opportunities already seized by those who came earlier." Source for meaning: Martin H. Manser (2007). The Facts on File Dictionary of Proverbs. Infobase Publishing. p. 70. ISBN 978-0-8160-6673-5. Retrieved on 5 September 2013. Tread on a worm and it will turn. 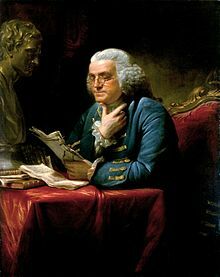 "The meanest or weakest person is not to be provoked or despised. No creature so small, weak, or contemptible, but if it be injured and abused will endeavour to revenge itself." Ray, John (1813). A compleat collection of English proverbs. To which is added, A collection of English words not generally used. [2 pt. Interleaved, with MS. additions by F. Douce].. p. 176. Lord Clifford: To whom do lions cast their gentle looks? Henry VI, Part 3, Act II, scene ii (c. 1591). The Tragedy of King Richard the Second, Act III, Scene ii (c. 1595). They have made worm's meat of me. Or I shall faint. — A plague o' both your houses! I have it, and soundly too: — A plague o' both your houses! Romeo and Juliet, Act III, Scene i (1597). Romeo and Juliet, Act IV, Scene iii (1597). The Tragedy of Hamlet, Prince of Denmark, Act IV, Scene iii (between 1599 and 1602). Twelfth Night, or What You Will, Act II, Scene iv (1601 or 1602). Edward Young, "The Christian Triumph," Night 4 of The Complaint: or Night-Thoughts on Life, Death, & Immortality (1742–1745). William Cowper, Winter Walk at Noon, bk. 6 of The Task (1785), lines 560–567. William Blake, "The Sick Rose," Songs of Experience (1794), plate 39. John Keats, "Sleep and Poetry," (1816 or 1817), st. 11, lines 35–41. Edgar Allen Poe, "The Conqueror Worm," Graham's Magazine (January 1843), st. 4. Edgar Allen Poe, "The Conqueror Worm," Graham's Magazine (January 1843), st. 5, lines 5–8. Michel de Montaigne, Book II of Essais (1595). All of these are finally transformed back into their primary substances, the Earth feeding the Plant, the Plant the Worm, the Worm the Bird, and often the Bird the Beast of Prey; Then finally the Beast of Prey is consumed the Bird of Prey, the Bird of Prey by the Worm, the Worm by the Herb, the Herb by the Earth: Man indeed, who turns everything to his needs, is often consumed by the Beast, the Bird, or the Fish which preys on him, by the Worm or the Earth. It is thus that everything circulates. Carl Linnaeus, Nemesis Divina (Dordrecht: Kluwer Academic Publishers, 1996, orig. 1734), ed. M. J. Petry. Charles Darwin, Introduction to The Formation of Vegetable Mould through the Action of Worms (1881), pp. 2–3. You have evolved from worm to man, but much within you is still worm. Friedrich Nietzsche, §3 of "Zarathustra's Prologue" in Thus Spoke Zarathustra (1880s). H. P. Lovecraft, "The Festival," Weird Tales 5, no. 1 (January 1925). Henry Miller, pt. 3 of The Colossus of Maroussi (New York, N. Y.: New Directions Paperback, 2010; orig. 1941), p. 205. I opened my eyes—and all the sea was ice-nine. The moist green earth was a blue-white pearl. The sky darkened. Borasisi, the sun, became a sickly yellow ball, tiny and cruel. The sky was filled with worms. The worms were tornadoes. Kurt Vonnegut, "The Grand Ah-whoom," ch. 116 of Cat's Cradle (Dial Press Trade Paperbacks, 2010; orig. 1963), p. 261. I. There is no Goddess but Goddess and She is Your Goddess. There is no Erisian Movement but The Erisian Movement and it is The Erisian Movement. And every Golden Apple Corps is the beloved home of a Golden Worm. THE FIVE COMMANDMENTS (THE PENTABARF) in Principia Discordia (the Magnum Opiate of Malaclypse the Younger, 1965). The butterfly was just a lowly worm in its beginning. The worm didn't live with the moment-to-moment expectation of sprouting wings and taking flight. He lived a useful and productive life, the life of a worm. And he had to die a worm in order to be born as an angel! Henry Miller, published posthumously in Reflections (Capra Press, 1981), p. 76. One day you're thinking and hauling yourself around, and the next, you're cold fertilizer, worm buffet. Chuck Palahniuk, ch. 4 of Fight Club (17 August 1996). 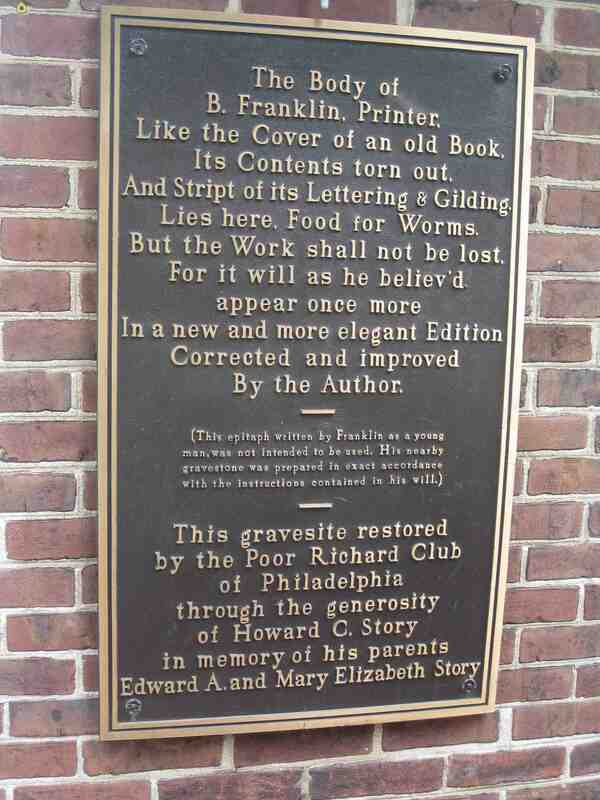 Man may live like a worm, but he writes like a god. Imre Kertész, Felszámolás (Liquidation, 2003). Pink Floyd, "Hey You," The Wall (20 November 1979), s. 3, tr. 1, written by Roger Waters. Pink Floyd, "Waiting for the Worms," The Wall (20 November 1979), s. 4, tr. 4, written by Roger Waters. Tom Waits, "All the World Is Green", Blood Money (7 May 2002). So, Doctor Eye, perhaps some humans, rare humans, have mutated to have another sense—a spirit sense—and can perceive a world that is right on top of us, everywhere, just like the light on these worms. Remember: walk without rhythm and we won't attract the worm. Paul Atreides (Kyle MacLachlan) in Dune (14 December 1984), screenplay and directed by David Lynch, based on Dune (1965) by Frank Herbert. Keating: No. Ding! Thank you for playing anyway. Because we are food for worms, lads. Because, believe it or not, each and every one of us in this room is one day going to stop breathing, turn cold, and die. John Keating (Robin Williams) and Charlie Dalton (Gale Hansen) in Dead Poets Society (2 June 1989), written by Tom Schulman. The early bird gathers no moss! The rolling stone catches the worm! Truman Burbank (Jim Carrey) in The Truman Show (5 June 1998), written by Andrew Niccol. What's silent and smells like worms? Bird farts. Andrew Martin (Robin Williams) in Bicentennial Man (17 December 1999). Once you've had worm, it's what you'll yearn! Sleeble (Greg Ballora), Gleeble (Carl J. Johnson), Neeble (Thom Fountain), and Mannix (Brad Abrell) in Men in Black II (3 July 2002). Sofi Elizondo: How many senses do worms have? Ian Gray: They have two: smell and touch. Why? Sofi Elizondo: So, they live without any ability to see or even know about light, right? The notion of light to them is unimaginable. Sofi Elizondo: But we humans, we know that light exists—all around them, right on top of them, they cannot sense it. But with a little mutation, they do. Right? Sofi Elizondo: So, Doctor Eye, perhaps some humans, rare humans, have mutated to have another sense—a spirit sense—and can perceive a world that is right on top of us, everywhere, just like the light on these worms. Dr. Ian Gray (Michael Pitt) and Sofi Elizondo (Àstrid Bergès-Frisbey) in I Origins (18 January 2014), written and directed by Mike Cahill.